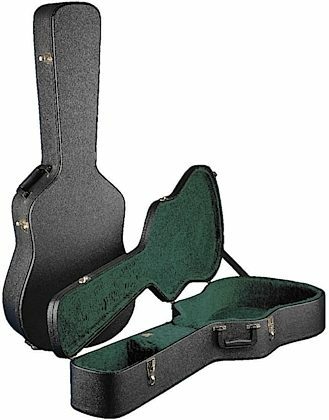 This Martin hard shell case is the perfect fit for your any of your 14-Fret Dreadnaught Martin guitars. It has a sleek black on green exterior/interior and 3-ply laminated wood shell. Its plush interior lining and brass-plated hardware are sure to keep your instrument safely secured.